HES Victoria are one of the most proactive social marketing companies that Sitecert has come across. Facebook, twitter and the Sitecert Login is all integrated into their home page which draws customers and potential customers to their main shop window. With all this modern technology being adopted by HES it was only natural that HES Victoria became Sitecert’s first Australian customer. Australian regulations are slightly different to the UK but Sitecert’s flexibility ensured that adoption was seamless. Sitecert is the ideal partner for HES as they expand across South Australia. HES Vic are also a member of a the Global Lifting Group which is a buying group and secured distributorships of major brands within the lifting industry. Sitecert was integrated into their normal day-to-day activities and they were one of the first to use the Motorola ES400 PDA’s which proved very popular and their examiners use it as a Mobile Phone also. HES also commissioned a custom “Header” on their webportal so that it ties in with their own website. This proved so effective that it is now and option for the rest of our customers. Sitecert continually upgrades and makes changes to the system and thankfully HES has been behind numerous additional functions. WE DO LISTEN & WE UPGRADE ACCORDINGLY! 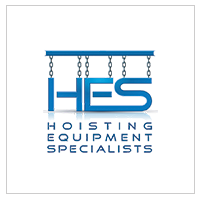 HES purchased another lifting equipment company (Shillings) in Adelaide, Southern Australia. 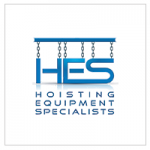 This company became known as Shillings Hoisting Equipment (SHE) and also adopted Sitecert for their inspections. In Jan 2014, HES Engineering acquired Vertex Engineering to expand to supplying of overhead cranes and maintenance of same. This will call on the flexibility of Sitecert with specific checklists for overhead cranes being incorporated in to inspections. We are looking forward to working with them on their latest venture. View more info here. Dean Nelson – CEO was the founding Chairman of LEEA in Australia which we think was the springboard for LEEA’s rapid expansion worldwide. Dean actually saw a presentation that Sitecert did at Liftex in 2009 which initiated our business relationship which has now become a friendship. So much so that Dean even stopped over in Dublin, Ireland to meet with our team while on a trip to look for innovative products in Europe. During 1997 HES and other like-minded companies formed The Global Lifting Group. The Group was established to enhance both our local and international capabilities and now has representation throughout Australia in Adelaide, Brisbane, Geelong, Melbourne, Newcastle, Perth, Sydney, Townsville and Wollongong and internationally in Papua New Guinea and Indonesia. Through The Global Lifting Group we have secured much sought after distributorships on a world wide basis. Our long standing partnerships with international manufacturers such as Bridon, Thiele, DSR and Excel are testament to The Global Lifting Groups commitment to supplying quality products and services.